Several major incidents in the U.S., including the death of 19 wildland firefighters in the State of Arizona, and the Washington D.C. area Navy Yard shooting focused attention on the need for best practices involving radio programming, interoperability and training. In June of 2014, the NPSTC Governing Board approved the creation of the NPSTC Radio Interoperability Best Practices Working Group which focused on programming guidelines, policy, verification, testing and training. It is important to note that these are Best Practice recommendations and are not intended to be standards or requirements. It is acknowledged that not all agencies operate in the same way and some agencies will not be able to fully implement these recommendations. The final statements articulate the highest achievable goal for interoperability, with the understanding that any step forward in the migration path is an improvement. It is hoped that the report will help public safety agencies make incremental improvements in their operations while enhancing the safety of first responders. 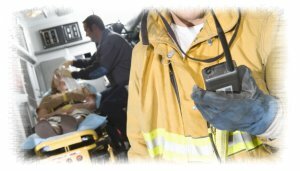 With the completion of the Best Practices for Public Safety Interoperable Communications Report, which includes updates to the Radio Interoperability Best Practices Working Group Overview Report and the initial 13 Best Practice statements, the Radio Interoperability Best Practices Working Group has completed their initial task assignment and is currently on hiatus. New best practices will be developed within the parent Interoperability Committee unless or until it is deemed necessary to reconvene the Working Group for regular meetings or to review the existing best practice statements. Click on the "Connect with NPSTC" button on the right to join the Working Group if you are interested in becoming involved with any future work. There were no updates to this group during August 2018.